Technology is always helpful, but it can prove disastrous when used with the wrong intentions. One app that misused technology is being heavily criticized now, as are Google and Apple for indirectly supporting it by hosting it in their respective app stores. 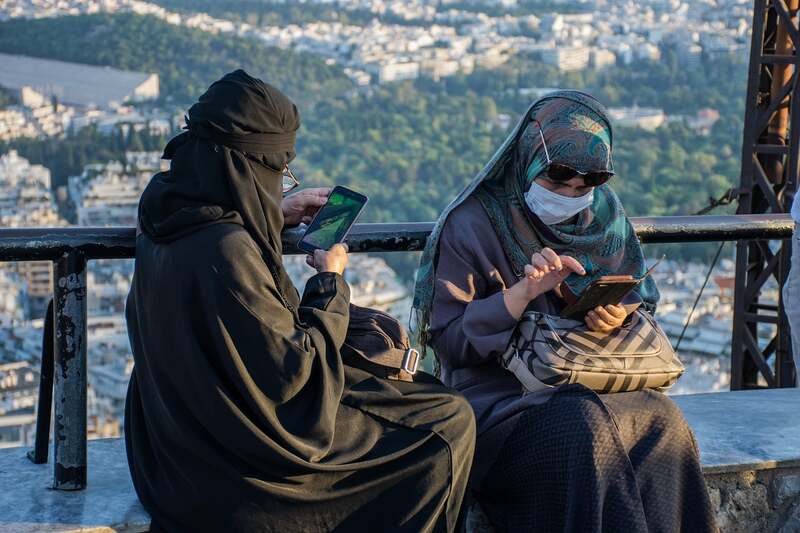 The app in question, called Absher, allowed men in Saudi Arabia to track women’s movements. According to Insider, the app allows men to grant women the permission to travel. Men also received a text when a woman they track via the app uses her passport at the border. Human rights activists have raised serious concerns about the app and are also criticizing Apple and Google for hosting it. The U.S. tech giants are being accused of supporting misogyny and helping “enforce gender apartheid.” Additionally, Human Rights Watch, Amnesty International and a women’s rights activist have asked Apple and Google to stop hosting the app, Insider reported. It is mandatory for women in Saudi Arabia to have a legal “guardian,” regardless of their age. The guardian’s permission is needed for them to marry, open bank accounts and travel, and this is what the Absher app helps with. However, by doing this, it makes life especially difficult for women. Absher is a government service and offers other features as well, like paying parking fines and renewing driving permits. However, its travel-related features (or mobile portal to the country’s location-tracking system for women) make it difficult for women to leave the country. As a result, human rights activists have been targeting it. The app allows guardians to register dependent women, enable travel privileges and even block some destinations or airports. The app alerts a guardian if a woman under his guardianship deviates from the travel profile he set. Before the Absher app, women leaving the country had to submit a form at the airport desk. The Absher app has been downloaded more than 1 million times from the Play Store and received more than 27,000 ratings with an average rating of 4.6 out of 5. The number of downloads on the App Store is not clear, but it has an average score of 3.9 out of 5. Human Rights Watch told Insider that the app violates Apple’s and Google’s guidelines because it facilitates threats and harassment against women. The organization also said apps like Absher “can facilitate human rights abuses, including discrimination against women.” According to activists, the Absher app is a big reason women get caught when trying to leave the country in search of a safe place elsewhere. Amnesty International told Insider that the alert the app sends is “another example of how the Saudi Arabian government has produced tools to limit women’s freedoms.” The organization has also asked Apple and Google to admit that the app harms women and require that changes be made. “In the West these technologies are used to improve lives and in Saudi Arabia they’re used to enforce gender apartheid,” Mohammed said. As of now, there are no comments from either Apple or Google on the matter. It is surprising to see Apple supporting such apps as the company has been quite vocal about supporting human rights. Although the company doesn’t seem to be in favor of creating a human rights committee, it carries out numerous internal audits and even audits its suppliers to ensure there are no violations of any human rights. Thus, it will be interesting to see how Apple will respond to the recent accusations against the Absher app. At the time of this writing, the app is still available on both the App Store and Play Store.